The winter weather has really kicked in here! The days are cold, but the mornings and evenings are nearly icy! On days like these, I want nothing more than a bowl of nice, hot soup to help warm me up. 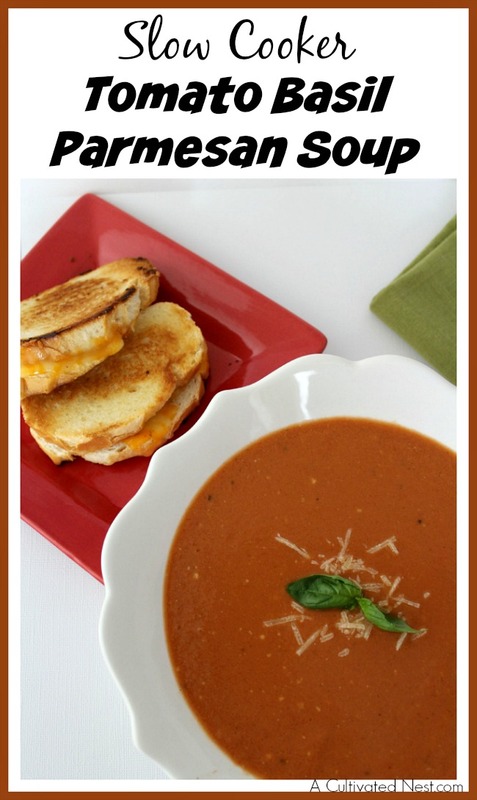 When we eat out in the winter, I often like to order tomato basil soup, and sometimes order more to go. But homemade soup is so much more inexpensive (and healthy), so lately I’ve just been making my own tomato basil soup at home! 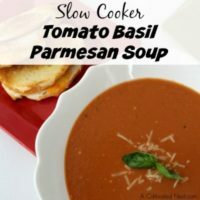 If you need a hearty, hot soup to help you get through the winter, you’ve got to make this Slow Cooker Tomato Basil Parmesan Soup! I love slow cooker recipes! They’re such a great way to make it so you don’t have to worry about dinner being ready on time. You’re free to go about your day, knowing that your slow cooker is working away at making a delicious meal! 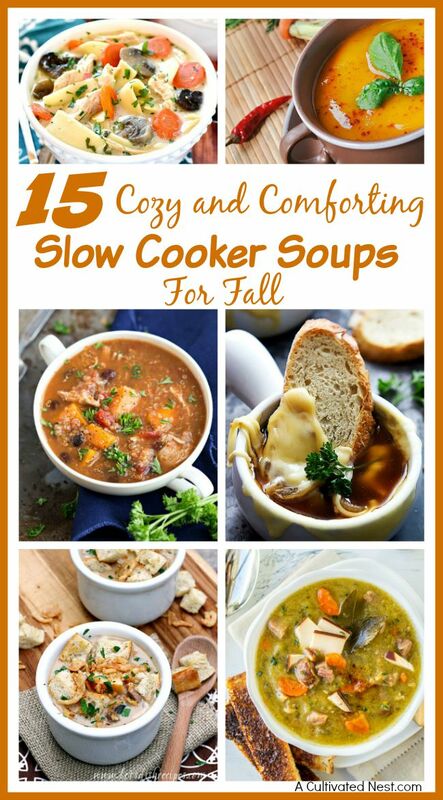 I personally prefer my Crock-Pot, but any type of slow cooker will work fine for this recipe. 1. 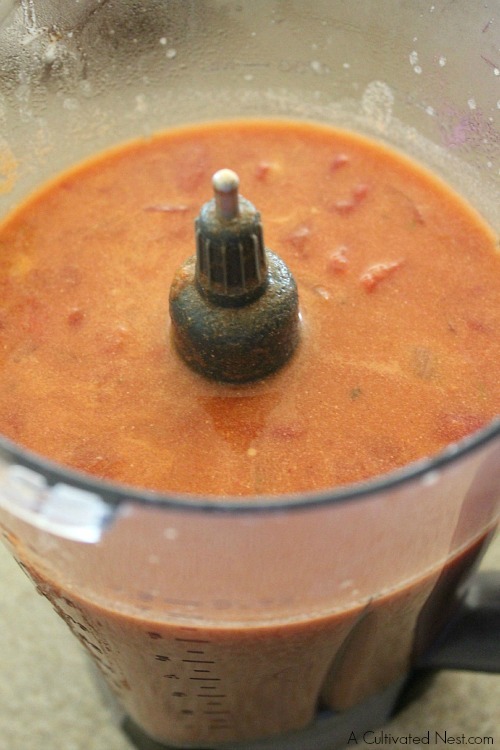 Add tomatoes, tomato sauce, and next 7 ingredients (through broth) to a slow cooker/Crock-Pot. 2. Cover and cook for 2 hours on high or 4-8 hours on low. 3. About 30-40 minutes before serving, transfer soup to a blender or food processor and puree until smooth, then return to Crock-Pot. 4. Prepare the roux. Begin by melting the butter in a medium saucepan over medium heat. 5. Add flour to melted butter and stir until flour clumps up. 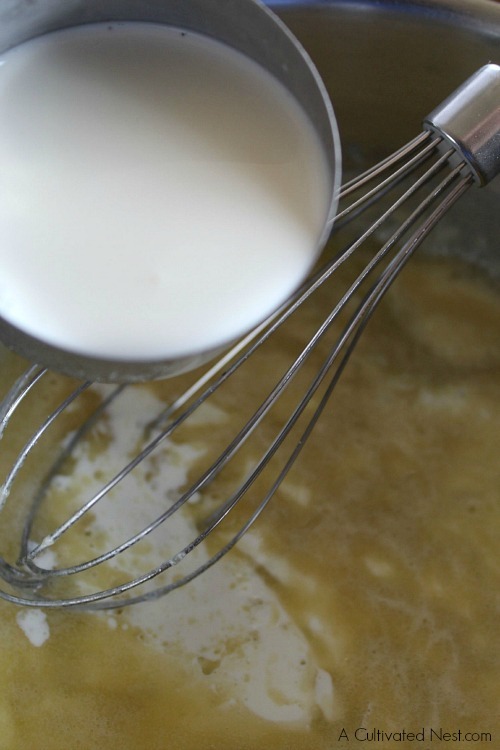 Slowly whisk in the heavy cream (or half & half) until mixture is thickened and smooth. 6. Add roux and Parmesan cheese to Crock-Pot and stir to combine. 7. Allow to cook another 20-30 minutes until cheese is completely melted. Give it a good stir before serving. 8. Top with additional basil and Parmesan cheese if desired. 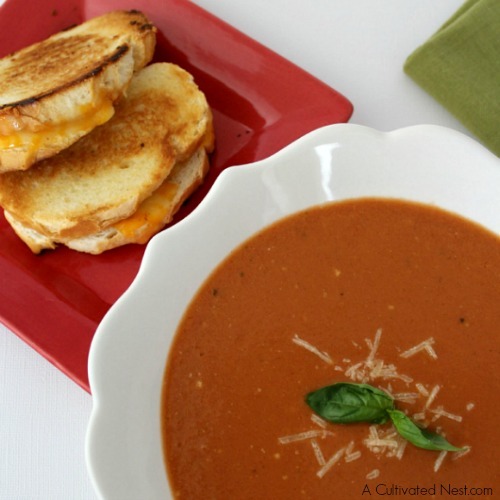 Enjoy your slow cooker tomato basil Parmesan soup! If you have extra, freeze it and reheat it when you want a quick meal! 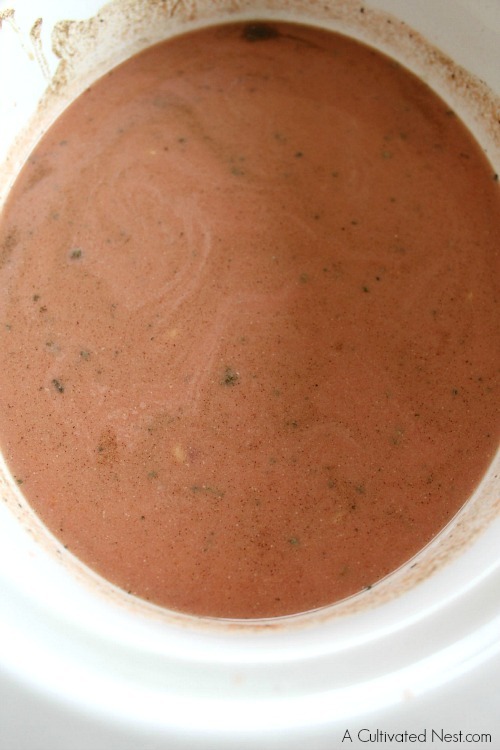 This slow cooker soup is hearty and very tasty! 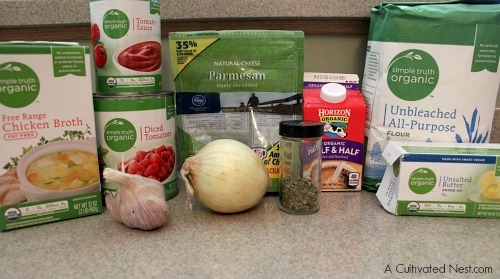 Add tomatoes, tomato sauce, and next 7 ingredients (through broth) to a slow cooker/Crock-Pot. Cover and cook for 2 hours on high or 4-8 hours on low. About 30-40 minutes before serving, transfer soup to a blender or food processor and puree until smooth, then return to Crock-Pot. Prepare the roux. Begin by melting the butter in a medium saucepan over medium heat. Add flour to melted butter and stir until flour clumps up. Slowly whisk in the heavy cream (or half & half) until mixture is thickened and smooth. Add roux and Parmesan cheese to Crock-Pot and stir to combine. Allow to cook another 20-30 minutes until cheese is completely melted. Give it a good stir before serving. Top with additional basil and Parmesan cheese if desired. It has been chilly here too! Your soup sounds wonderful. Happy New Year! That sounds delicious on a Wintry day:) Thanks for sharing! HUGS! I love tomato soup, too. These sound wonderful. Stopping by from Motivation Monday. I hope you have a great week! YUMMY. 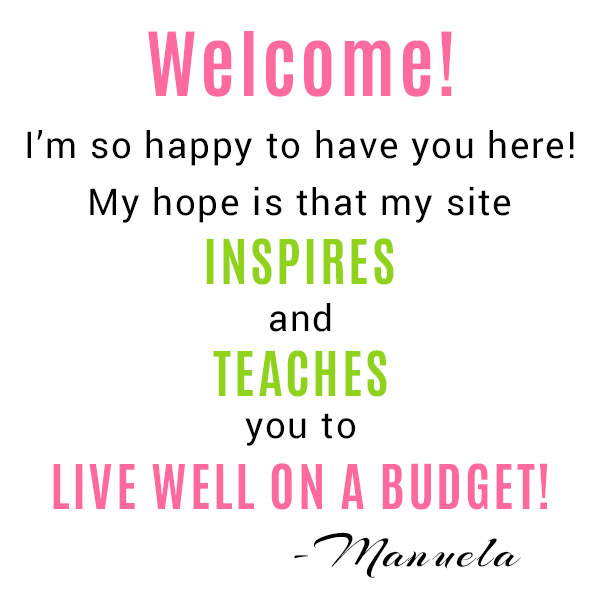 Thanks for sharing at the Monday Funday Link Party. Emily @ The Benson Street. Mmm, this looks delicious! Totally going to have to try this with some grilled cheese! Thanks for sharing at #HomeMattersParty! This looks yummy and perfect for winter. Thanks so much for adding your recipe to the Delicious Dishes Recipe Party on Pocket Change Gourmet. 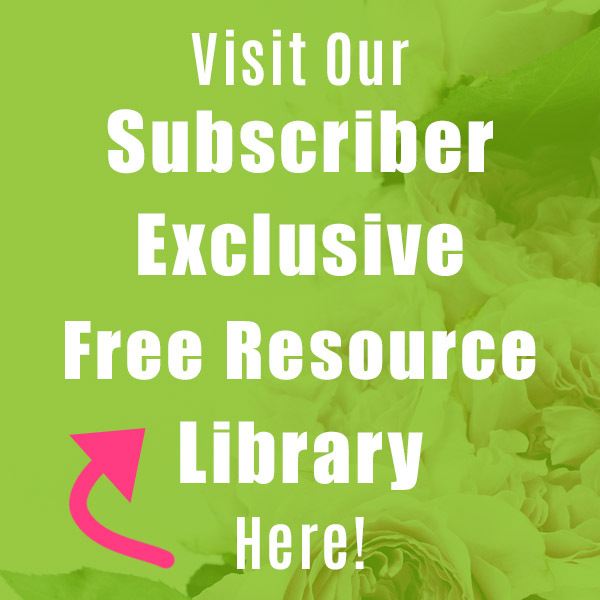 HELLO I AM NEW TO YOUR BLOG AND SO FAR ENJOYING WHAT I SEE – THE HOMEMADE APPLE BUTTER SOUNDS GREAT AND THE TOMATO BASIL PARMESAN SOUP. ALSO, THE FOOT SCRUBS, ETC., I AM SO GLAD I FOUND YOU. WILL LET YOU KNOW AS I TRY SOME OF THEM. Hi Sandy, welcome! 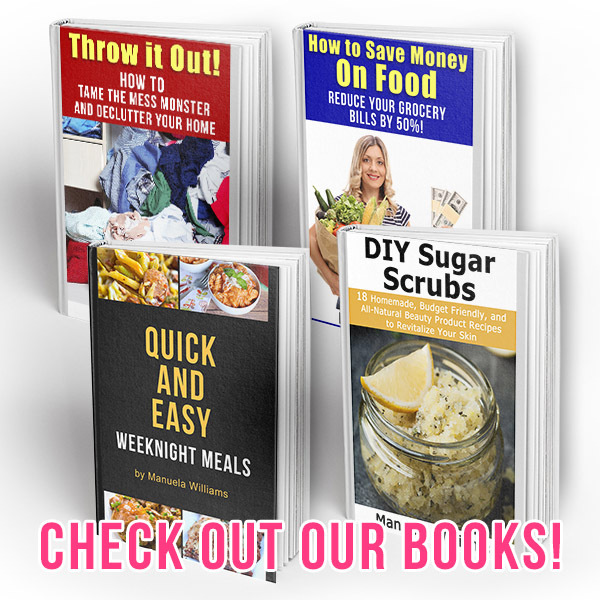 Yes, let us know how you like our recipes an DIY projects. 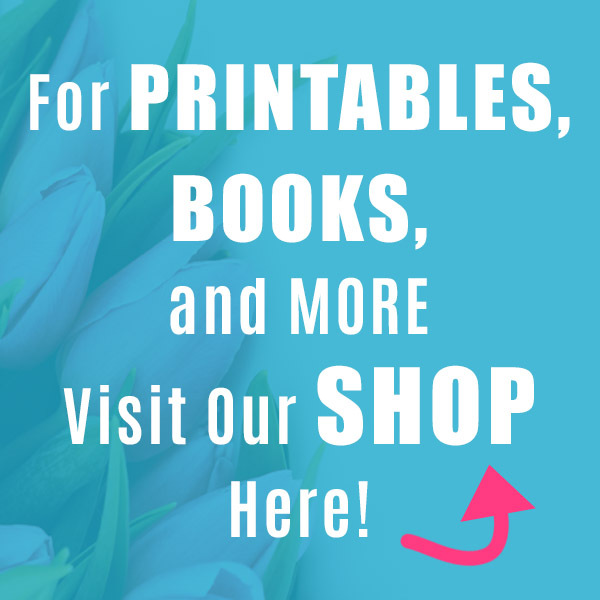 I’m sure everyone will find it helpful to learn if you make any modifications.